A coalition led by Vicky Cornell, the wife of the late Soundgarden front man Chris Cornell, has created an endowed fund of more than $1 million to support student scholarships at UCLA School of Law. The Chris Cornell Scholarship honors Cornell’s commitment to justice, human rights and advocacy for those in need. Members of the coalition include several friends and colleagues of Cornell as well as supporters of UCLA Law. UCLA Chancellor Gene Block states the endowment is a fitting tribute to Cornell. “This endowment honors an influential musical artist who cared about human rights and enables others the opportunity to make a positive impact in the world,” he says. As part of his long career as a songwriter and performer, Cornell wrote and recorded the title song for “The Promise” (2017), the first feature film to highlight the story of the Armenian genocide. All proceeds from the film have gone toward human rights causes, including creation of the Promise Institute for Human Rights at UCLA School of Law. Cornell donated all of his proceeds from the song to the International Rescue Committee. In November, the song was nominated for a Grammy for best rock performance. Cornell’s career began in 1984, when he founded the trailblazing Seattle-based band Soundgarden. 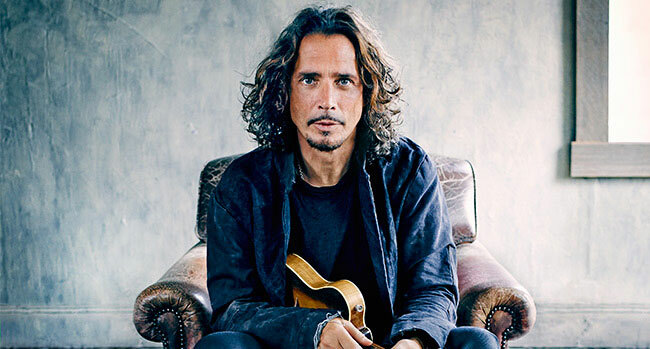 A chief architect of the 1990s grunge movement and one of the most powerful voices in rock, Cornell later had a successful career as a solo artist and founder of Audioslave. He reunited with Soundgarden in 2010. Selling more than 30 million records worldwide, Cornell forged a unique identity over three decades as a Grammy Award-winning, Golden Globe-nominated singer, guitarist, composer and lyricist. Cornell died in May 2017 at the age of 52, but his artistic and humanitarian legacy lives on. The contribution is part of the $4.2 billion UCLA Centennial Campaign, which is scheduled to conclude in December 2019 during UCLA’s 100th anniversary year.